Providing a new, sensitive and unique way to mark the passing of a loved one, Elysium create beautifully made individual memorials to commemorate and celebrate a life. Rooted in the great British craft tradition, Elysium’s makers are highly regarded artisans in their chosen fields. 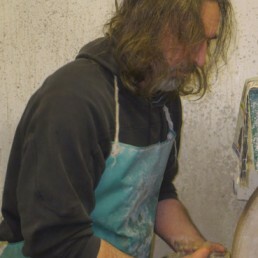 All the memorials are designed and made in house, often using the skills and knowledge of several craftspeople collaborating together in the production of a piece. 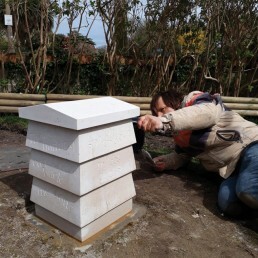 Whatever the size or complexity of a memorial, it will definitely be imbued with the experience and quality of its makers. 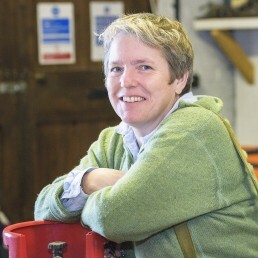 As the founder of Elysium and a stone carver/sculptor, Kate is at the heart of the business. She designs and makes many of the memorials and is the person a client will deal with when enquiring about an artwork. 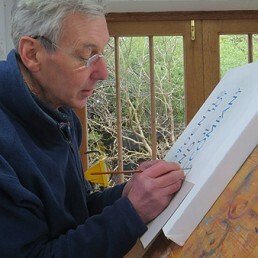 John is a true polymath, a calligrapher, musician, writer and glass engraver. His beautiful inscriptions have a distinctive and pure sensitivity that compliments the Elysium house style. 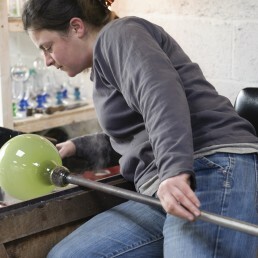 Sonja has blown glass full time since her late teens and now runs a successful studio near Frome. 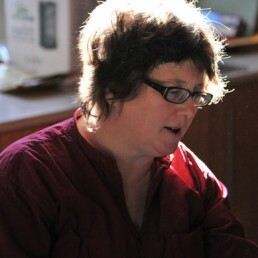 She produces and designs memorials for Elysium as well as making her own work and glass for other artists. Steve’s knowledge of glass cutting and cold work is second to none, as is his skill. His work brings the full beauty out of glass as a material. As well as Elysium he works for other artists and also produces his own optical glass sculptures. Fay has been there from the conception of Elysium Memorials as an idea. She continues to help with the day to day running of the business, while also being an associate director of a local arts venue. Having worked with stone architecturally all his working life, Ed’s experience means he approaches even the most difficult of projects with confidence, professionalism and sensitivity.